The generosity of parents | Things that are good to know... the first time around. 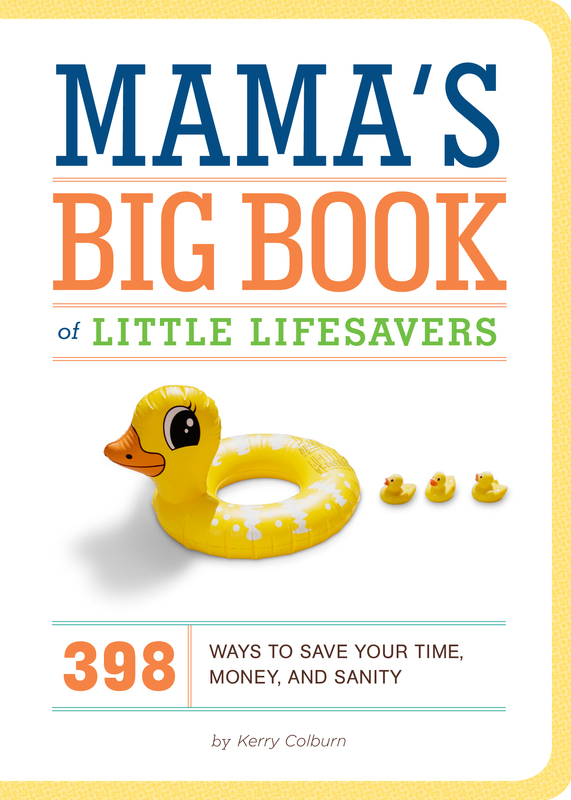 As my new book hits shelves in time for Mother’s Day, I’m thankful for all the moms from coast to coast who offered up their little lifesavers: the tips, tricks, and techniques that help them navigate each day with little kids. We all know the shortcuts we come up with–the ones that (hallelujiah!) actually work–things that seem small but end up making a big difference. I’ve always wished there was a place to collect all that intel from as many moms as possible, because my goal is always to help all new parents walk a smoother path…even if it’s just getting that preschooler buckled into the carseat in under five minutes for once. Having the book in my hands makes me think about how I’m continually amazed by (and thankful for) the easy generosity of other parents. Until I became one, I didn’t realize how much I’d come to rely on it. Say what you will about “sanctimommies”–those legendary catty moms who look down their noses when you feed your child Rice Krispie treats at 9am so she’ll let you talk on the phone–I don’t think I’ve actually ever encountered one in the flesh. (Perhaps I just surround myself with the right kind of company?) What I’ve run into, time and again, are parents who help me out without hesitation. My parent friends listen when I need to vent, offer to babysit when I’m sick, go out drinking with me when I have cabin fever, and would line up at my door if I needed them–even though they have their own busy and chaotic lives. But beyond that, I’m continually touched by the parents who are utter strangers but still lend a hand. I have to say, it gives me a boost of faith in humanity. Other parents have opened doors for me when my hands are full, loaned me a diaper when my bag is full of everything but, offered cuts in the bathroom line when my toddler was jumping up and down, held my babies on airplanes and in security lines when I’m struggling, and given me advice on babysitters, rashes, playgrounds, and preschools–for no reason except they want to help. In my experience, they always deliver, and are happy to do so. I am continually thankful for these little kindnesses, which can sometimes make the difference between a frustrating morning and a good one when you’re negotiating the world with small kids. So I strive to do the same, to keep that karma going. I offer little things whenever I can: wipes, band-aids, sunscreen, Goldfish, an extra juice box, advice when asked (okay, sometimes when not asked). Sometimes, it’s just a kind word at the coffee shop for the mom who has clearly had no sleep, or a high-five to the one who has all three kids dressed, combed, and sitting still at a restaurant. At the heart of it, I try to remember that we’re all traveling on this rocky, twisting path of early parenthood together, and it’s nice to be reminded–especially if we haven’t talked to a grown up all day–that we’re not hoofing it solo. What little things have other parents helped you with, to make your day go better? I’d love to hear.